Lea Hough’s Chartered Building Surveyors work together with their experienced Architectural Technicians to design extensions, conversions and refurbishments as well as new-build projects for both commercial organisations and private clients throughout Lancashire. 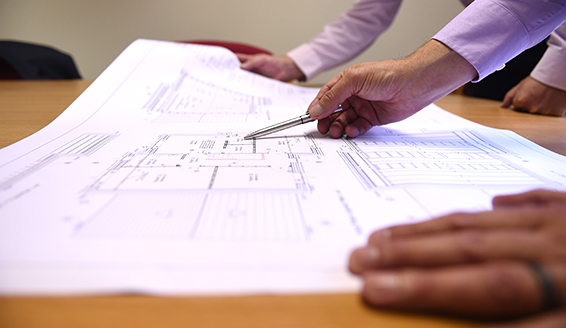 The team start by establishing a clear brief with the client and discussing their proposed requirements and ideas, before undertaking a detailed measured survey and preparing detailed scale drawings. Once the design drawings are agreed with the client, Lea Hough then prepare all required documentation for Planning Permission and Building Regulations approval and submit the applications on the client’s behalf – liaising with the Local Authority on any matters which arise during the process to bring the application to a successful approval. Beyond this, the team can then prepare a detailed Specifications/Schedule of Work to accompany the design drawings, which will set out the extent and standards of construction work required. Beyond this, our team can then gather prices from suitable building contractors via a competitive tender exercise, put in place and administer the building contract, including monitoring workmanship standards, certifying interim payments and agreeing the contractor’s final account.